Bandaloubaby is an online community where product choices are driven by parents for parents. A place where parents crowdsource to discover, unite and save. Because there is strength in numbers – especially when these numbers are parents. Step 1: Browse products crowdsourced by other Bandalou shoppers and click "Crowdsource, Wait & Save" to join in on the deal. There is no commitment to buy until you actually buy. Step 2:By crowdsourcing, you're telling Bandalou that you're interested in an item. From there, we source the product. Once we confirm that the item is in stock we will activate the Buy Now button. Step 3: Celebrate the savings! Bandalou Bucks are our Gift to You. Redeem your Bandalou Bucks on your next purchase to save. Bandalou wants to spread the word so that other parents can finally take comfort in finding the best procuts available to them. In order to spread the word, they've decided to host a fabulous giveaway. And, you have a chance to win! Simply enter the Fafflecopter below for your chance. This would be a phenomenal stroller for us! And it is beautiful! 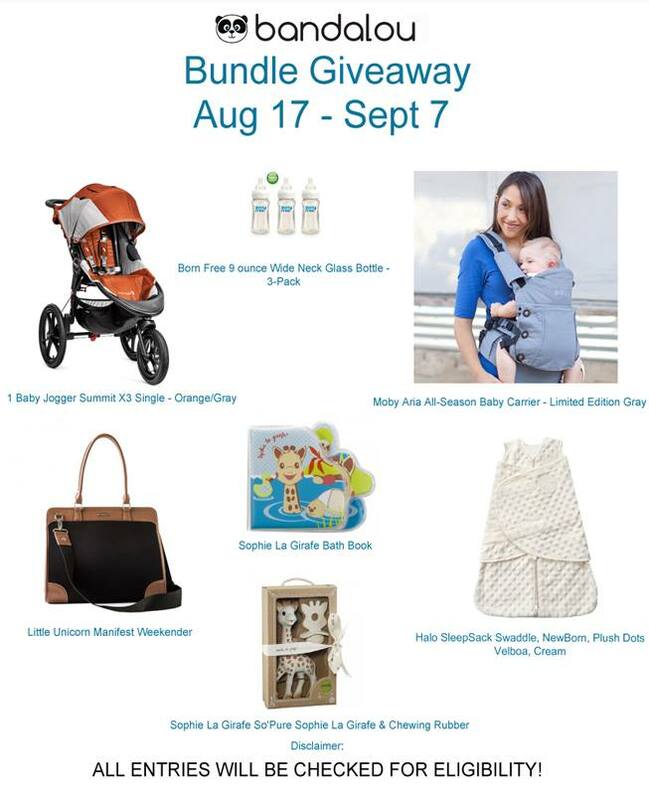 This is a great giveaway that any Mommy would be glad to win.